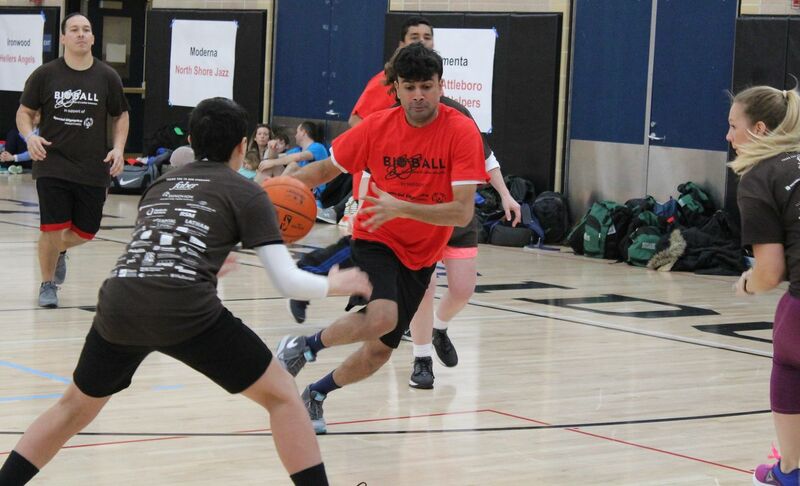 ‍This year’s Bio-Ball broke previous fundraising records. 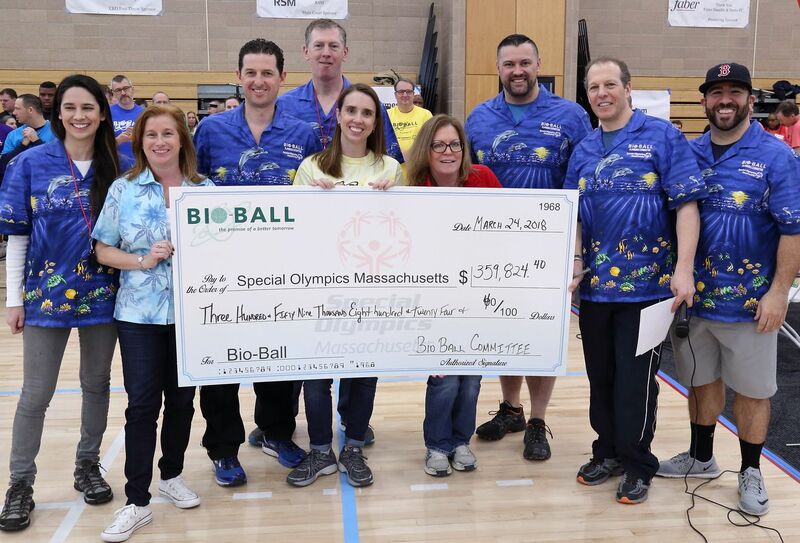 Faber joined with many clients and friends in the Boston-area biotech community to score big with the 2018 Bio-Ball tournament, the wildly-popular annual fundraiser for Special Olympics Massachusetts, raising a record $360,000. Approximately 650 athletes and spectators turned out for the event, which took place at the Cambridge Rindge and Latin School on March 24. For more than a decade, Faber has been the lead sponsor for the event, providing in aggregate over $150,000 in financial support, and also has regularly fielded its own team of committed volunteers to help organizers from Special Olympics Massachusetts ensure the event runs smoothly. ‍The red Unified Ball, symbolizing social inclusion, captured the tournament’s spirit. The “CEO Free Throw Contest” opened a day of enthusiastic, good-natured rivalry, as executives from each of the 16 participating biotech companies teamed with a Special Olympics athlete to show off their shooting skills. A red “Unified Ball,” symbolizing social inclusion, was thrown by the Special Olympians, as the crowd went wild. At that point, players and fans alike were primed for the tournament. 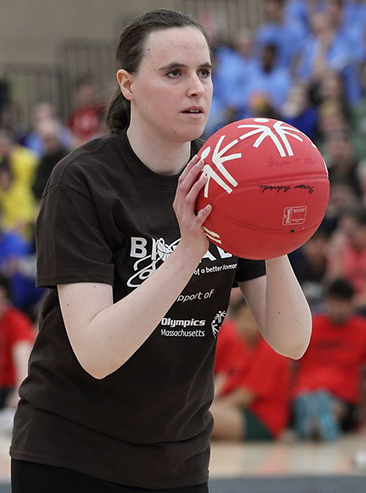 Each of the 16 participating biotech companies fielded a team of employees who then were joined with a Special Olympic team of athletes from Boston or one of its neighboring towns to create unified lineups that then competed against other unified lineups in both individual skills and five-on-five games. Spectators cheered themselves hoarse in support of favorites, and the 2018 Bio-Ball champs were Sunovion and the Brookline Jaguars. The four teams that raised the most money won free tickets to a Boston Celtics game. “It was inspiring to watch how quickly the players bonded. Their determination and energy were obvious, and there was a lot of talent on display by both male and female athletes,” said Kori Kaufman, a Faber volunteer. 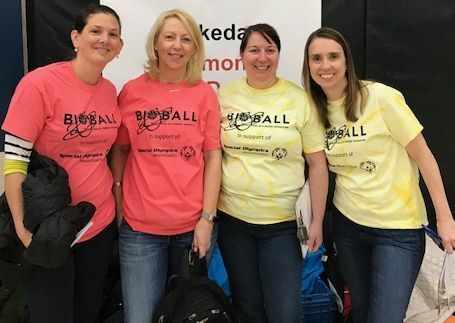 “There were two sisters on one of the biotech teams in their teens and they were stellar players.” The Special Olympics team from Shrewsbury (a longtime Bio-Ball participant) will be competing at the USA Special Olympics Games this coming July in Seattle and at the World Games next March in Abu Dhabi. Pulling off the logistics for an event that featured this many athletes is a feat in itself. “This is not only an important fundraiser, but also one of the biggest Special Olympics sporting events of the year, and the Special Olympics Massachusetts staff work seamlessly with the volunteers to make this succeed,” said Faber’s Pati Wolfe, who put in a nine-hour day helping out. Watch www.bioball.org for news of next year’s big event.